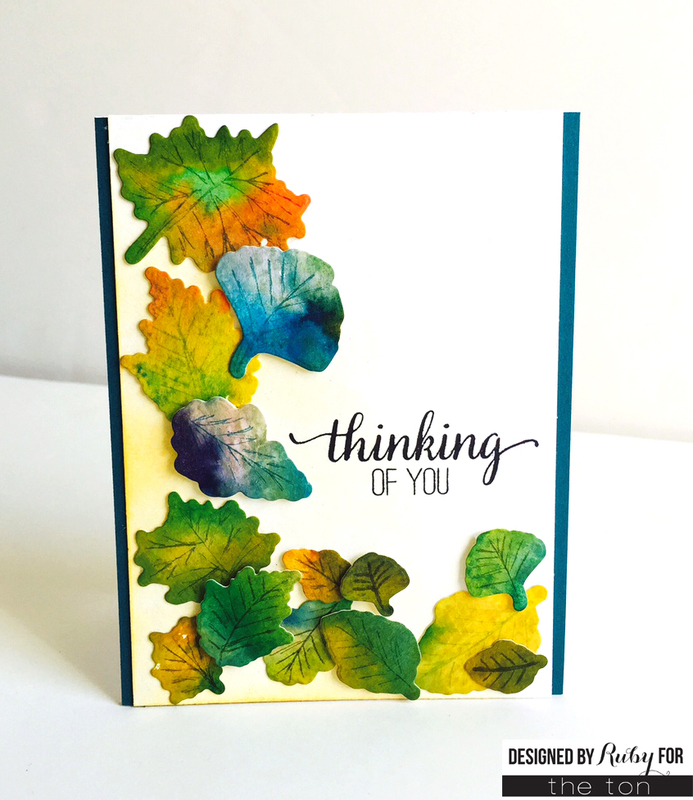 Hello, Rubeena here sharing a set of cards using Autumn Foliage with the coordinating dies. During release week, I used this stamp set to create a colorful watercolored background. Here, I did some double-layer stamping. The first card uses various green inks and the second one uses more colors. 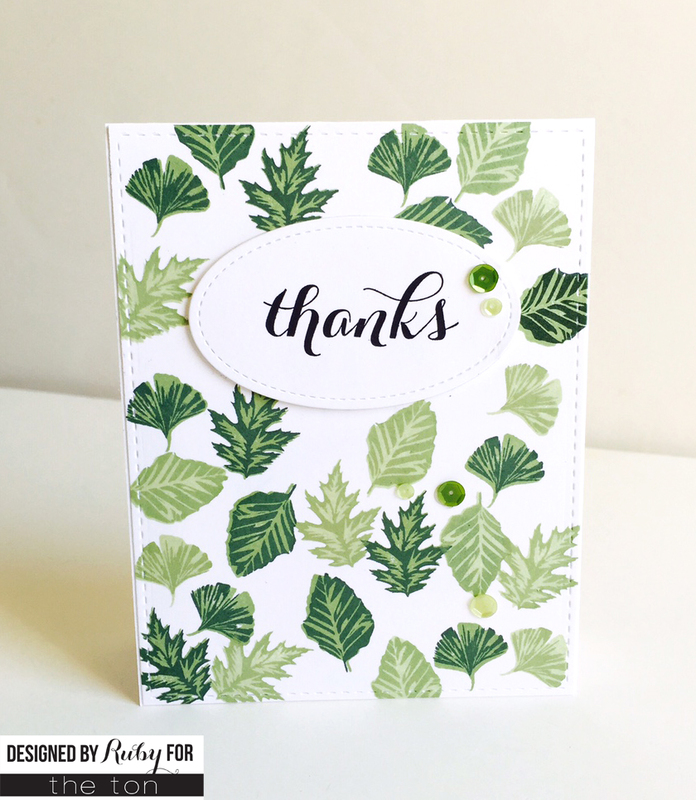 I’m loving the details on the foliage, and I didn’t even stamp the third layers! You can have so much fun with this set. I added some sequins in Key Lime and Meet Me in Maui. The “thanks” sentiment is from Fresh Cut Dahlias. For the third card, I wanted to try something really clean and simple. I stamped all three layers and then the sentiment from Large Peony 1. For the last card, I colored with reinkers on watercolor paper. Once it was dry, I cut out leaves using Autumn Foliage coordinating dies and added lines with Distress Ink markers. I blended some yellow ink on the background before layering all the leaves and stamping the sentiment from Large Peony 2. Did you enjoy today’s inspiration? I can’t wait for sweater weather! I love autumn. What about you? Have a great week! Fall inspired cards are definitely one of my favs…these are all super gorgeous. I ADORE these layered leaves!!! Love them all. The last one is my favorite! 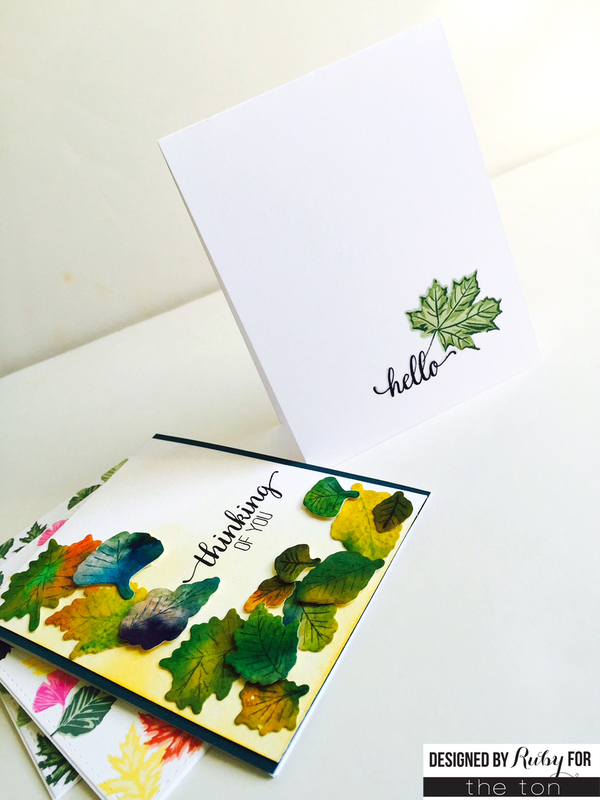 All of these leafy cards are just stunning! Love the multistep stamped ones and the watercolored one, so many different looks in that on set. Wow, Ruby! These cards are amazing! Love those leaves! Love all the leafy goodness! thanks ruby for the card shares!!! how awesome are all those leaves!! !so gorgeously green.. have a gr8 day k?